What are the major market trends uncovered in your research? Declining hardware costs enabling the cost of sensors to be reduced making them more affordable for robotic applications, thus spurring new creative uses of sensor in robotic systems and enhancing existing deployments. Advancement in artificial intelligence are arming robotics systems with more innovative ways to leverage sensor input, enabling the systems to take on more sophisticated tasks. Sensor advances combined with autonomous systems are engendering new markets such as the self-driving car. Specifically, LiDAR systems are a growing market in this segment. Vision and force sensor improvements are also increasing levels of safety and efficiency in industrial applications. How do you classify the wide range of sensors for robotic applications? What is impacting the fastest growing market segment and why? The most common function for robotic systems is movement—such as the interaction of a robot arm on an assembly line. This category of movement sensors therefore represents the largest share of the market and the most advanced, driven by industrial applications. Which industry sectors are the most advanced users of sensors for robotics? Industrial automation, which essentially pioneered sensors for robotics continues to be the most advanced, followed by the military, which has long been using robotic systems with sensors to supplement personnel in difficult environments. Which sectors are emerging and will drive future growth? Consumer products is actually one of the emerging segments as volume in terms of appliances and eventually automotive applications will cause high growth and adaptation. What geographic region is the most advanced in using these technologies? Europe and North America rea the growth leaders with new applications, however Asia Pacific is driving volume across industrial and consumer sectors. Where is the biggest opportunity that no one is taking advantage of? Three edge of market arenas are: applying artificial intelligence in a practical way to everyday applications, implementing low-power micro-sensors, embedded processors and radios in industrial applications and implementing sensors to innovate robotics in healthcare. In addition to these focus areas is the opportunity to offer smart sensing and calibration solutions that enable a variety of sensors to plug and play across many applications. The biggest surprise was that industrial applications remain one of the largest and most innovative sectors despite what is happening in consumer and automotive applications. How does this market relate to the Internet of Things? The advent of smart sensing as stated above will be key to IoT because the applications scenarios for connected robotic systems will vary within the use of the system and environment. Connected IoT sensors will be the enabler of flexible robotic systems. How does this market relate to artificial intelligence and machine learning? If we add a layer of artificial intelligence to the flexibility and utility of connected IoT sensors, we will have more and more autonomous robotic systems with increased productivity and value. 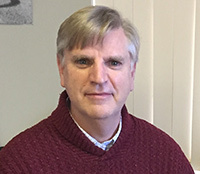 Michael Sullivan has been Senior Editor at BCC Research since 2014. He has pioneered the company's Information Technology (IFT) category and significantly expanded it to provide in depth coverage of new areas such as the technologies that underpin the burgeoning Internet of Things (IoT) markets. An author and journalist, he authored and published two books on the growing opportunities in Internet commerce and corporate Web development, and he also writes market research reports in the categories of Environment, Healthcare, Information Technology, Instrumentation and Sensors and Security. He has an MBA from Boston University School of Management.